Accreditation Commission for Health Care (ACHC) is a nonprofit organization that has stood as a symbol of quality and excellence for more than 30 years. In addition to our presence in pharmacy, ACHC offers internationally recognized accreditation programs for home health, hospice, and private-duty agencies. ACHC has earned deeming authority by CMS for Home Health, Hospice, and Durable Medical Equipment, Prosthetics, Orthotics, and Supplies, and our quality management system is certified to the International Organization for Standardization 9001:2015. 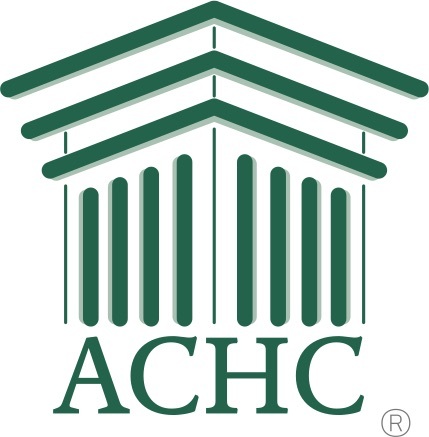 Since the introduction of our Pharmacy Accreditation program in 1996—and as the first accrediting body to offer accreditation in specialty pharmacy—ACHC has grown to become a leading international accreditation organization, with more than 6000 pharmacies accredited in the United States and Canada. We are regarded as the total solution in pharmacy accreditation. With a broad array of pharmacy compliance offerings—including accreditation programs for community retail, specialty, infusion, and long-term care—as well as sterile and non-sterile compounding services through the Pharmacy Compounding Accreditation Board (PCAB, a division of ACHC), we are positioned to be the solution of choice for all clinical settings and for payers, manufacturers, and regulatory bodies. Many states are now using PCAB or ACHC Inspection Services as a method to obtain nonresident licensure. ACHC provides a consultative survey experience through knowledgeable surveyors who offer guidance and education without compromising the quality of our standards. All of ACHC’s pharmacy surveyors are vastly experienced in their respective areas and hold a sincere interest in helping providers achieve accreditation while improving their businesses. With the highly managed distribution channel in specialty pharmacy, a key success factor is a pharmacy’s ability to differentiate itself and demonstrate its capability to payers, manufacturers, and pharmacy benefit managers. We strive to not only offer the industry’s premier compliance programs but also to align our service menu with our customers’ business and expansion needs. In that spirit, ACHC has taken steps to meet market needs by developing Distinctions in Oncology, HIV, and Hazardous Drug Handling (ref. USP <800>). An additional Distinction in Nutrition Support will be available in early 2018. We set a high bar for using these challenging classes of drugs, which in turn, identifies those pharmacies committed to meeting these more rigorous standards. With a comprehensive suite of educational resources and consulting options, ACHC is committed to helping pharmacies achieve and maintain continuous compliance. Accreditation University began as an outgrowth of ACHC’s rapidly expanding educational service lines. The tremendous interest in these offerings made us abundantly aware of pharmacies’ desire for more education and support in preparing for their surveys and maintaining compliance. What began as 2 products—workbooks and workshops—emerged in 2014 as an entirely separate division within ACHC that now offers a wide array of products and services. These services include an expanded workshop schedule, live and on-demand webinars, the Accreditation Guide to Success workbook, survey tools and survey readiness checklists, industry-tested policy manuals, and consulting services accessible at many different levels. We regard accreditation as a partnership. Our interest is not only in helping pharmacies prepare for and achieve accreditation but also in seeing them thrive. Growth-minded pharmacies that are focused on innovation and continuous improvement will find ACHC to be a ready partner in their pursuit of an enhanced patient journey and improved market standing.